FS700 is a waterborne, single pack acrylic based sealer used to form linear gap seals where gaps are present in floor and wall constructions. The product is designed to be used in conjunction with a light weight mineral fibre material to form a fire seal at the junction between floor slab and head of wall. 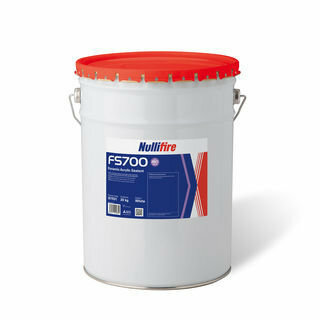 The intended use of system FS700 is to reinstate the fire resistance performance of gaps in and joints between joints in rigid floor and wall constructions. Provides a fire, acoustic, smoke between floor slab or head of wall movement joint.